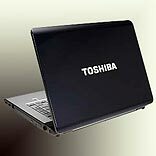 Japan-based Toshiba Corporation announced that it is expecting a seven fold increase in its local sales to Rs 18,000 crore by 2017. And, this growth would be largely driven by the power and infrastructure sectors. This MNC is also evaluating an investment of over Rs 3,000 crore in the country over the next five years. Hisao Tanaka, President, Toshiba Corporation, said, " We will position our operations here as a strategic world-wide business hub for thermal power, energy transmission and distribution equipment, water and waste-water treatment, and software development businesses." Last month, this company had also acquired Vijai Electricals’ power transmission and distribution businesses.